These are the moments we dream about. When a community partner steps forward and includes The Pongo Fund in their generosity. As Next Adventure did recently, when they welcomed The Pongo Fund as the beneficiary of their Gear Up Your Pup event. A few days ago Devin from Next Adventure came to The Pongo Fund to tell us how things went. She came bearing many gifts, including tasty Pongo cupcakes and a lot of gear including socks, headlamps and more. Really nice gear for us to share with those less fortunate. She also brought a check for $1,000. For those of you who follow the world of small non-profits, a $1,000 donation is huge. Then she stayed and volunteered for the entire shift, being face-to-face with those we help. She asked questions. She listened to answers. She was fully present the entire time. At the end of the day we asked her how she felt about dedicating her Sunday to being a helper. She smiled the kind of smile that told two stories, both the joy and the pain. Because she was there for both. Seeing firsthand what their Next Adventure donation will mean, and then seeing those who will benefit. It was a conflict of emotions, as being a helper often is. But in that conflict of emotions there are also many gifts. Love being the most important. We felt it from Devin. We hope she felt it too. Thank you Next Adventure, Phido Photography and Ruffwear, for sharing your love with The Pongo Fund and the tens of thousands we help. Your kindness means more than words can ever say. “A kind gesture can reach a wound that only compassion can heal.” ― Steve Maraboli. Remember Horus, the 12 year-old dog friend who spends his days comforting his cancer stricken Dad during final stage hospice care? Horus, the sweet Golden Retriever who a few weeks ago developed a fast growing eye tumor that makes every day a little bit tougher than it should be. Horus, the dog who despite it all, never once complains. 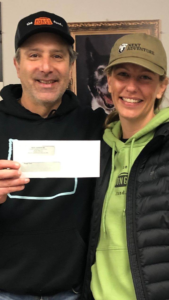 Several of you stepped forward to help, along with the kind and generous folks at Salty’s Pet Supply, Fang Pet & Garden Supply, and Three Paws Neighborhood Pet Supply. And thanks to each of you, surgery is set for next Tuesday. It’s a big surgery; the eye is a delicate place. Yet because of you, Horus has a chance, and that is all any of us can hope for. In the midst of all she has going on, Horus’s Mom took the time to send a truly beautiful card, a card filled with deeply meaningful words. And right there along with her words, Horus signed his name too. My name is Larry Chusid. 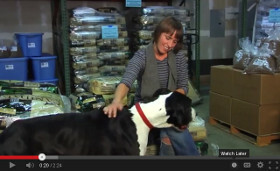 I am the founder and executive director of The Pongo Fund, Oregon’s Pet Food Bank. Pongo was my dog. I work for the day when no animal goes hungry because their families cannot afford to keep them fed. Thereby preventing the hunger, suffering, abandonment, surrender and loss of the animals they love. We have donated more than 12 million meals throughout Oregon, Washington and beyond, helping more than 120,000 beloved dogs, cats and horses stay safe at home with their families and out of the shelters. 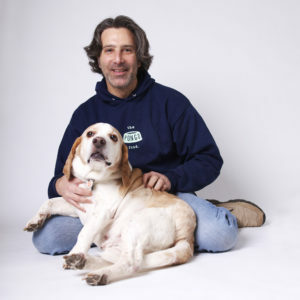 We provide emergency veterinary care and spay-neuter too. And I am honored to do this work. But in order to love me as a friend or even like me as a person you must understand that animals are the best part of my life. And that my heart is broken time and time again for animals that are not treated with compassion and respect. For those who do not know kind words and gentle hands. For those who are abused, who suffer, who live in fear. For those who recoil at the hand reaching out to pet them for fear it will hurt them. Today is the first day of 2019. A new beginning. A new chapter filled with all of the things that we can do, that we should do, that we must do, to make life better for the animals. And I invite you to please join me in doing these things. For all of the animals everywhere, may each one enjoy an abundance of love. To live safely and well. Without fear. Without harm. Without suffering. I wish for them to know the same love and respect from us that we know from them. And every wish that I wish for the animals, I wish for you too. On an even more personal note, and I mean this from my heart, I am so deeply grateful to you, to all of you, for getting up, for standing up, for fighting against abuse and neglect and cruelty. For fighting the fight that sometimes seems like a lonely one. But in time, it is a fight we will win. My name is Larry Chusid and I am proud that the animals are my friends. They make my life better. 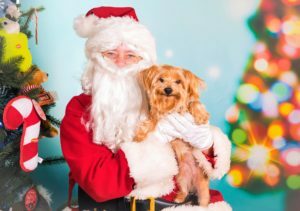 And may they always enjoy Peace, Love and Kibble. Wishing you a Happy New Year from all of us at The Pongo Fund. To receive the next one in your inbox, please click here: http://bit.ly/2CVq34E. And if you don’t like it, it’s only one quick click to unsubscribe. Sometimes I don’t know how to put into words the work that we do. Sometimes I’m not sure I even understand. He said he wanted to pack kibble but not actually pack the kibble. Like, could he manage others while they packed kibble? Something about the call wasn’t right. Then we found out everything was right. He’d raised money for The Pongo Fund but he wanted to do more. He wanted to pack kibble. Except his hands didn’t work the way he needed them to, not for kibble anyway. But he knew others who could. So, would we consider a different kind of kibble pack? We’ve kibbled senior centers, we’ve kibbled hospitals, we’ve kibbled Autism and Downs, we’ve kibbled domestic violence shelters and we’ve kibbled disabled Veterans. Pretty much, if it can be kibbled, we’ll kibble it. 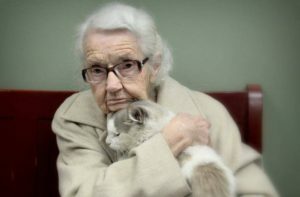 Remember the elderly man whose wife had recently died, and he wanted to kibble in her honor, except he could not get to us? So we went to him. Just like we did for this kid. We packed up the Emergency Kibble Response Team, and we went kibbling. This kid had his own Kibble Crew, we showed them how we kibble, and they took it from there. He has a cat, so they kibbled cat food. 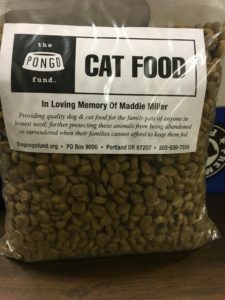 This batch happened to be in memory of Maddie Miller, a special friend of The Pongo Fund who crossed the Rainbow Bridge recently. These kids spent a lot of time laughing. The hardest part was not that his arms were set up differently; it was trying not to spill the kibble with his constant barrage of jokes. This was a super sensitive kid with a heart of gold. Packing kibble was on his bucket list. And he wants to do it again. Count us in. This was one of those moments we never saw coming. A kid, who for all intents and purposes should not be able to pack kibble, yet rewires the system so he can pack kibble. And the best part, it might be some of the finest kibble ever packed. We need your help now please. Because these are the hardest times and tens of thousands are counting on us. It’s cold and wet and the need skyrockets when the weather turns nasty and we’re getting hammered with need. 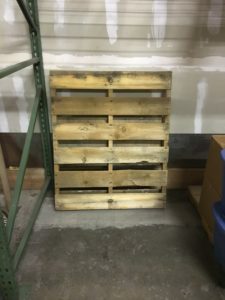 That empty pallet should have thousands of pounds of food on it. And we’ve got 19 more empty ones just like it. Food is the core of what we do. It works the same way for you and your animals too. We all need it. During the past 8 years we’ve provided 12,000,000 meals, helping keep 120,000 animals safe and well fed during the toughest of times. So far we’ve never run out of food, and we’re doing everything we can to make sure we don’t run out now. We’re very fortunate to work with generous companies who provide us large discounts in our food purchasing. Because the truth is we use far too much to rely solely on a bag here and a bag there and that’s why we purchase a truckload at a time. It also means we can maintain food of the highest quality, each bag fresh and unopened. But right now we need some help to get restocked and carry us through the winter months. Because tens of thousands of people and pets are counting on us. Your donation to our Food Fund will be TRIPLED. That’s right, it will be tripled. It is our #GivingTuesday promo and we’re doing it ALL WEEK LONG. Please write FOOD FUND in the comments when you donate and we’ll take it from there. Our goal is to raise $20,000 to carry us through the next few months. And if we raise $20,000, we’ll receive $60,000. Will you please help us do that? Because an empty bowl means an empty stomach. And no animal should ever go hungry. We have several donation options. Our Give Guide option is a special year-end fundraiser and donations via https://giveguide.org/#thepongofund%20 will also be entered to win a free Pongo Pack with our hoodie, tshirt and knit cap. 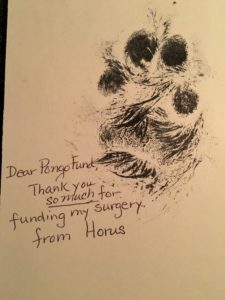 Or please donate via our Paypal link using your credit card here https://www.thepongofund.org/contact/donation-page/. You can also set up an easy recurring monthly contribution there too. And of course we love receiving mail, so please also mail us your check to The Pongo Fund, PO Box 9000, Portland, OR, 97207. Bonus points if you let your dog lick the envelope. Please help us care for the forgotten, for the hungry, for the left behind, for the abused, the battered and the neglected. Because no animal should go to bed hungry. Maybe this is what you need today. Some tradition, some gratitude, something to be thankful for. He’s in his late 50’s, his dog is 15. They’ve been homeless for a few months now. They found a small camp of really nice folks, several of them have dogs. We met a couple weeks ago, he asked for a very specific dog food called Thanksgiving Day Dinner. We know the food well; it’s packed with turkey, sweet potatoes, carrots, green beans and more. And for the last many years, this man’s dog has enjoyed that food on Thanksgiving. That is their tradition. A few months ago everything fell apart, and today, their Thanksgiving will be a very different one. 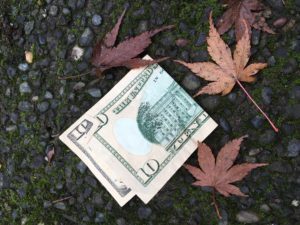 Surrounded by some new friends, they will pool their dollars and head to the store to buy whatever they can. They will not have turkey or mashed potatoes or green bean casserole or any of that. But he said they will still be thankful. He laughed and said it’s probably good they won’t have turkey, because some of the others at the camp are vegan. He made a funny face when he said that, then I told him I’m vegan too, albeit an imperfect one, and I found vegan Thanksgiving to be delicious. He said he’d need to try it sometime. But that dog food, that was the most important thing. He wanted to treat each of the dogs at the camp to their own dinner, but each can is about $4 and he only had money for two cans. By chance, did we have any of it to share? Of course he would pay us back soon as he could. During the past few months this man’s life had turned upside down. He’d lost his job, his home, and much of his self-respect. His dog doesn’t know any of that. Which is why this day, this tradition, is so important. He said it’s most important for his dog, but we know it’s just as important for him. And when self-respect hangs on some cans of dog food, well, we can fix that. We had the food but told him we didn’t, but we’d get it and deliver it. He said thanks. We made a visit to the camp a few days later, just for a look-see. It was small and tidy and the dogs were in excellent condition. 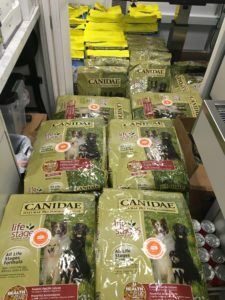 Several of them sported winter coats that The Pongo Fund gave out a few weeks ago, and it turns out they also used the Canidae dog food we provided, so we were glad to know these dogs were well cared for. We asked about their Thanksgiving plans. They said they’d sit down together about 2pm and share whatever they have. We told them we’d have the dog food there around 1pm. And we left. And then we made some calls. And those calls were answered. And that’s why, in just a couple hours from now, as you’re sitting down to dinner, two cars will park at the trailhead and a small group of people will make the short walk to deliver four cans of Thanksgiving Day Dinner dog food. That’s right. A small group will deliver those four cans of food. Because along with those four cans will be a Thanksgiving Day Dinner for the people too. Turkey, potatoes, casserole, pie, the works. All of it vegan. All of it prepared and served with love. Unfortunately I won’t be there in person, but my heart will be. And I send a special thank you to those who answered my call for help and told me they would get it done. Today is Thanksgiving. 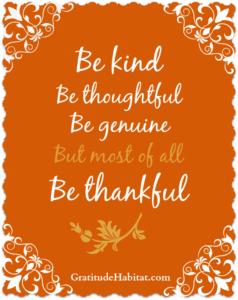 I am Thankful for much and for many. May your day be filled with Peace, with Joy, with Love.